It’s that time of year again, when the appointment calendar is full with itchy, scratchy dogs and cats. 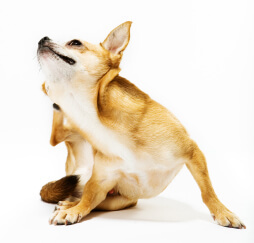 Some have seasonal allergic dermatitis, but many have…eek…fleas! In the Philadelphia region, August, September and October are the worst months for fleas, but we can see them any time of year, particularly during a warm winter.How to eradicate fleas? The best way is to prevent them altogether with a year-round preventative (more on this later). If fleas have already infested Fluffy, Fido and your living room, read on! Fleas are the most common external parasite of companion animals, and as a result, flea allergy dermatitis is the most common skin disease of dogs and cats. 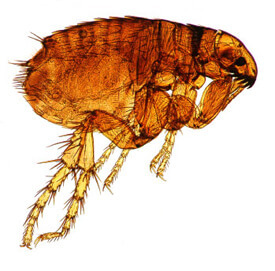 Flea control has always been a challenge for veterinarians and pet owners because the adult fleas cause the clinical signs, yet the majority of the flea population (eggs, larvae and pupae) are found off the pet in and around the home. The ideal flea control program utilizes products that target the various stages of the flea life cycle, and not only the adult fleas on the pet. To understand how to fully eliminate fleas from your home, a basic understanding of the flea life cycle is needed. Eggs are laid in Fluffy or Fido’s hair coat and are designed to fall off the host. They are resistant to insecticides, but susceptible to various insect growth regulators. Larvae develop in the hosts environment and feed on adult flea feces (blood) that fall out of the hair coat of the pet. Larvae are susceptible to traditional insecticides, borates and insect growth regulators. Larvae eventually spin cocoons (often within carpet fibers) for pupation. Pupae are resistant to freezing, drying and insecticides. Pupae can lie dormant for many months; they are stimulated to become adults by vibration, warming and increased carbon dioxide. Normally, this occurs when a dog or cat is near. Emergent fleas are fairly mobile and can survive a few days without a host, if in a suitable environment. New fleas begin feeding within hours of finding a dog or cat. The entire life cycle of C. felis can be completed in as few as 16 days! Typically, Fido contracts fleas when you take him out for a walk. 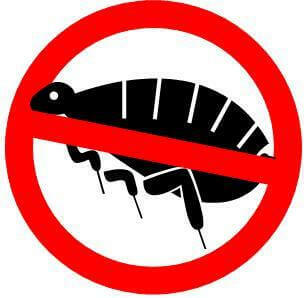 Fleas can be in your yard, parks, woods- virtually anywhere. Indoor cats can also develop a flea problem, particularly if they sit in open windowsills, since fleas can jump from the ground outside, through the window screen, and onto Fluffy. Owners can also bring in immature stages of the flea on their shoes. 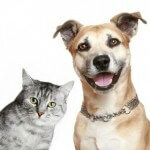 Once one animal in the house has fleas, the problem can quickly spread among all household pets. 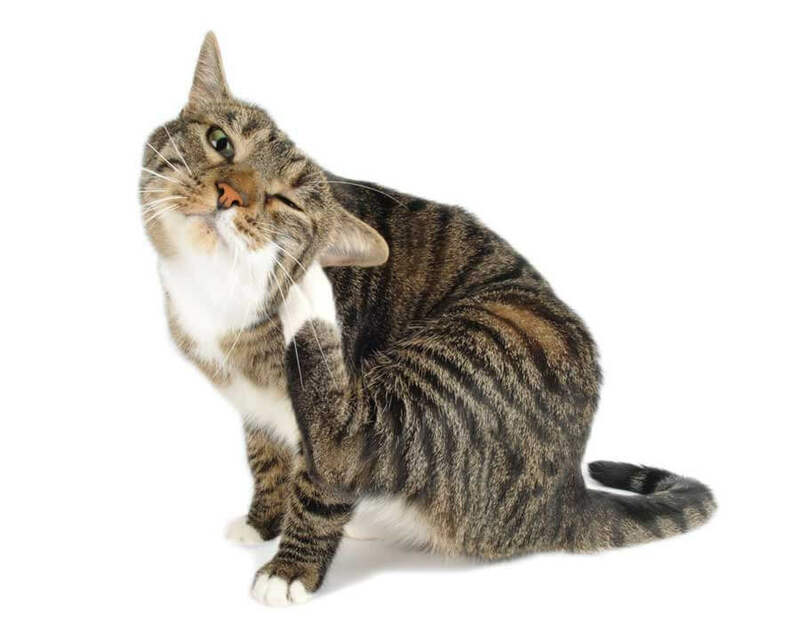 It is important to note that, while fleas can bite humans and cause small, red, itchy bites on the skin, the definitive hosts are dogs and cats, not people! Fleas cannot cause an infestation on humans alone. For the flea allergic patient, or for any itchy patient with fleas, continuous excellent flea control is required to remain symptom-free. Even very minimal exposure may be sufficient to perpetuate itching in a hypersensitive patient. In the past, veterinarians and pet owners tried to control fleas by treating the environment of the animal for the immature stages of the flea. This approach, although effective when properly instituted, is labor intensive and requires frequent repetitive applications. Also, some of the older products made for killing fleas on our pets do not kill fleas instantly or are not long lasting enough to really help flea allergy patients, because the female fleas survive long enough to lay a few eggs and perpetuate the life cycle.It is essential that ALL household pets (cats and dogs) be treated for fleas, as non-treated animals can serve as a reservoir for future flea infestations. We recommend year-round flea control for our patients, as fleas can be an issue even during the winter months in Southeastern Pennsylvania. 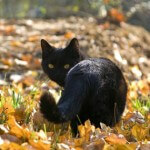 Today, veterinarians have many great flea control products in our arsenal, more than can be discussed here in this blog. There are now several highly efficacious, long lasting and very safe new products to choose amongst. Older products such as flea collars, shampoos, powders and sprays are no longer recommended, as much safer and more effective products are currently on the market. There are many knock-off products on the market, whose packaging resembles that of the more effective flea control products; these products are often considerably less expensive, and for good reason they are not effective! In some cases, some of the lesser-quality flea products can even be quite toxic, particularly to cats. Please follow the recommendations below for specific product recommendations. Fipronil is a broad spectrum insecticide available as a spray or a drip-on. Fipronil binds chemically to the hair and is absorbed through the hair follicle by the sebaceous glands. Fipronil may kill 95% of fleas for up to 30 days after application on dogs; the product also lasts up to biweekly bathing. It is labeled for puppies and kittens of 8 weeks (10 weeks for Top Spot). It is also affective against ticks. The product is labeled to be applied no more than once a month; however, in severely flea-infested homes we do recommend applying the product every 3 weeks for at least three months to eradicate the infestation. Frontline Plus contains the insect growth regulator S-methoprene and also provides control of eggs and adult fleas. 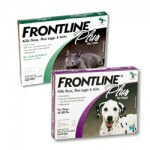 Frontline is available over the counter at Ardmore Animal Hospital, as well as pet stores, and internet pharmacies. 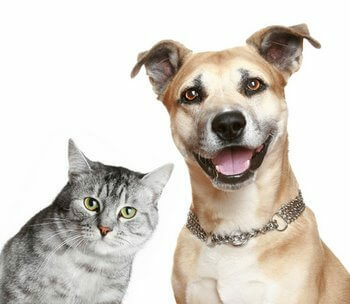 These products are available as a spot-ons for either dogs or cats. Advantage Multi is a prescription drug that also is a heartworm preventive. Advantage seems to be very well tolerated by sensitive cats. It provides flea knockdown in about 8 hours. 100% killing can be maintained for at least two weeks. It is susceptible to wash off, therefore outdoor active dogs and dogs that swim or that must be bathed because of dermatitis must be re- treated frequently. Imidacloprid has no efficacy against ticks, but K-9Advantix, with permethrin does; it also repels mosquitoes. K9 Advantix is only labeled for once a month usage, and ONLY FOR DOGS; this product is toxic to cats! 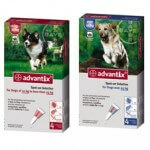 Advantage and Advantix are available over the counter at Ardmore Animal Hospital, pet stores and internet pharmacies. This prescription drug is designed as a once-a-month heartworm preventive and flea preventive for dogs and cats as young as 6 weeks old. It also kills adult fleas and can be used to treat sarcoptic mange, ear mites and ticks. Additionally, it helps control roundworms and hookworms in cats. The product is placed on the skin at the back of the neck, but is absorbed into the body to have its effect when female fleas ingest it with a blood meal. Adult fleas will die slowly, but more importantly, female fleas stop egg production as soon as they are exposed.This product is typically not recommended as a primary flea-control agent in dogs, because it does not provide adequate tick control; this is of particular concern in a tick-infested area like suburban Philadelphia. It should be noted that there are a myriad of other safe and effective flea preventatives on the market. For more reading about these products, click here. When treating a flea infestation, it is not only essential to treat all household pets (dogs and cats), but to adequately decontaminate the environment as well. As we previously learned above, adult fleas are constantly shedding eggs into the home and these can re-emerge up to six months after being deposited in the home. Only about 10% of the flea population (mainly the adults) are on your pet. The flea eggs, larvae, pupa, and the few adults that reside in the carpeting, bedding, and living areas make up approximately 90% of the flea population. 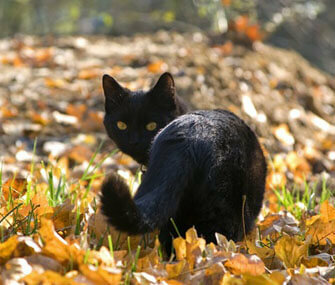 Neglecting this population of fleas will ensure that the flea problem will continue and worsen over time. 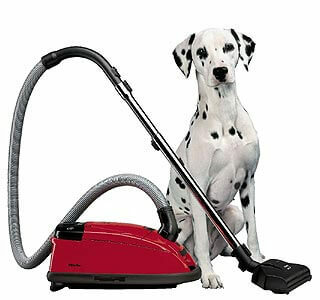 Several steps need to be taken to adequately decontaminate the home.Daily vacuuming of carpets and furniture is essential for overall flea eradication. This will eliminate adults, eggs, larvae and pupae before they develop. Emptying the vacuum bag frequently is also important; otherwise, the fleas will hatch, develop, and leave the vacuum to re-infest the living quarters. Dispose of the vacuum bag properly and frequently.Wash all bedding, clothing, and removable furniture covers, in the warmest temperature permissible.Apply insecticide, sold as an over the counter fogger or by a professional exterminator. Follow all instructions very carefully; remove all pets, people, and cover all food in the environment before applying insecticide. Take special precautions for pets and children. Are Fleas Becoming Resistant to Frontline? There is speculation, and a lot of internet chatter, that fleas have become resistant to Frontline and that this product is no longer as effective as it once was. To date, no scientific studies confirm that Frontline resistance is a true phenomenon. In most cases of persistent flea infestations, an obvious cause for the treatment failure can be identified: applying the product in the wrong manner, inefficient home decontamination, failure to treat all household pets, not faithfully using the product at a 30 day interval, etc. However, there are a few cases where these causes for treatment failure can be ruled out. There are many anecdotal reports of Frontline resistance, and more may be emerging. In cases like these, we are recommending Advantage or Revolution as an alternative to Frontline. This is an issue that is being closely monitored by the veterinary community; hopefully in the near future we will have actual scientific studies to refute or confirm the concerns about Frontline resistance. What’s the Bottom Line on Fleas? Follow these steps to keep Fido and Fluffy flea-free! At the Dog Wash, Yeah!